Applus+ is pleased to introduce Trae Miller, III, Kiefner President. Miller last served as Vice President, Midstream – Energy, Chemicals & Infrastructure at CDI Corporation and brings over 20 years of leadership experience to the company. Miller, a U.S. Navy veteran, is a licensed Professional Engineer (LA, TX, and KY) and is a licensed attorney (LA and TX). Miller also supports Applus+’ strong safety culture and is a Certified Safety Professional (CSP) and holds credentials as a Program and Project Management Professional (PgMP and PMP). Kiefner’s mission is to preempt crisis situations by leading and delivering technical assurance through specialized consulting and laboratory services. Kiefner serves the capital-intense, high-risk energy, utility and infrastructure industries and prides itself on delivering the highest quality service. Integrity is vital to the future of the industry’s assets and Kiefner’s objective is to ensure that they are safe at all levels of operation by delivering the highest level of technical assurance at any stage. 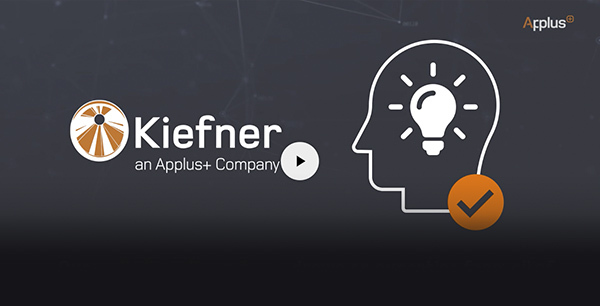 Kiefner and Associates, Inc. is an Applus+ Company founded in Columbus, Ohio, USA in 1990. Kiefner has over 25 years of experience providing engineering and consulting services to the energy and industrial sectors. Kiefner maintains Ohio state engineering firm licensure and API credentials. Applus+ is one of the world’s leading and most innovative companies in the testing, inspection and certification sector. It provides solutions for customers in all types of industries to ensure that their assets and products meet health and safety, quality and environmental standards and regulations. Applus+ operates in more than 70 countries and employs 20,700 people. Applus+ operates through four global divisions, all of which provide services under the Applus+ brand. In 2017, Applus+ recorded a total revenue of €1,583 million and an adjusted operating profit of €143 million. Access our new company video and stay tuned for updates to the 2019 Workshop Schedule.